This year I decided to keep track of the books I read by listing them in the sidebar. Now that the year is over, I thought that I'd give some of the highlights and lowlights of the books I read this year. All books have an Amazon link. There were a lot of books so I've split it up into two parts - Part 1 is here. Most of the non-fiction I read is humor. These two guys are at the top. Danny comes across as a bumbling, well-meaning idiot when he decides to say "Yes" to everything asked of him for a year. By the way, do NOT bother with the Jim Carrey movie, it is nothing like the book. Conversely, if you've seen the movie don't judge the book based on it! Danny's other book, Join Me, is excellent too (he accidentally starts a cult).I have never heard or read David Sedaris before this year. We picked Me Talk Pretty for book club and I ended up reading it while staying with my grandma as she recovered from a shoulder replacement surgery. I was laughing out loud almost constantly! Finally she asked me what was so funny and I read a portion of it to her. Thankfully it was one of the "clean" stories, about David and his non-French classmates trying to explain Easter to another classmate in French. We both laughed ourselves silly over it. First, let me say that I am the kind of person who likes a happy ending. Or at least a not-unhappy ending. I read to escape and have fun so I tend to avoid books that aren't fun. The Boat is a book of short stories recommended by a friend to a member of my book club and they are all very depressing. Every. Single. One. It's just my opinion, but it seems to me that some writers think that sad endings automatically make a story better. It doesn't. I was more than happy to put this book in my give-away pile. Here are the rest of the books I read, each with a sentence or two summarizing my thoughts. I've been sucked into this series like the rest of the country. Liked this one okay, liked the first one better. Irish girl moves to Brooklyn by herself in the 1950's. The main character was dull, she just did whatever anyone else told her and by the end hadn't changed. I don't recommend it. I heard the author of this book speak at Phoenix Comicon. It sounded good (a Victorian fantasy) so I picked it up. I liked it, even thought the main character is a "damsel in distress" (she's always having to be rescued or protected) and I generally like my MC's a bit more independent. Also heard this author speak at Phoenix Comicon. A teen discovers she's a fairy. Good, but it was written more for teens than for me so I think I'll skip the rest of the series. 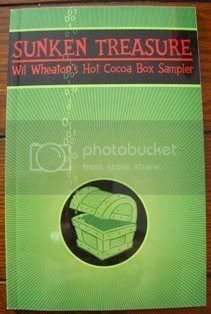 Enjoyed Wil's (Wesley Crusher, Star Trek) various short stories, though I wouldn't recommend the print version unless you are a big fan (it's print on demand so it's kind of pricey). Typical Lisa See, struggling Asian women in historical settings. Good but not my favorite. Good, light, chick-lit fantasy. A woman ends up in the place were all lost things go. Honestly I don't remember the plot of this one - I can't keep the Stephanie Plums apart. I think there was the Jersey Devil, maybe? 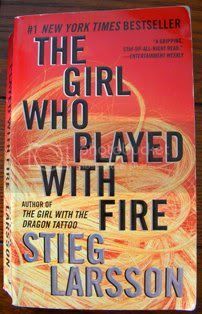 Another entertaining chick-lit book. Woman gets amnesia and has a chance to start her life over. I loved this movie. Loved loved loved it. So I wanted to read the screenplay to pick up a few tidbits that didn't make it into the movie. 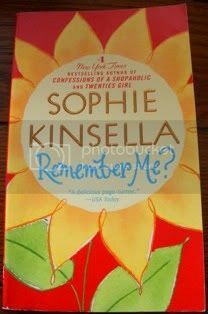 I'm sure this is a great book but for a first time novelist (I got it to help with my 2009 NaNoWriMo story) it was overwhelming and I gave up on editing my book. Checked this out from the library and found it very helpful. Went back to check it out for 2010's NaNoWriMo and found that the library had gotten rid of it! Makes me feel less sorry for them when they complain that they have no money for books - if you can't buy new books, why are you getting rid of ones that people are still using? Ended up buying it used from Amazon. My husband loves Grisham so I read this one on a whim. It was good but I wouldn't have bought it for myself. Found this at the dollar store and got it more for my dad than myself. Having never read Rumpole before there were a few things I didn't follow but overall it was worth the dollar! 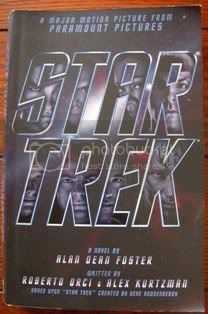 A direct novelization of the 2009 movie. Only recommend to obsessive fans like myself! 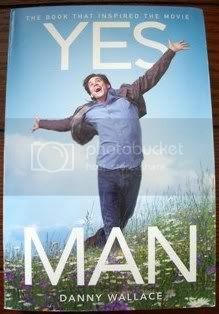 Definitely give Yes Man (the book) a try, I loved it! But like I said, I don't think the movie is worth bothering with. I bought it after reading the book and only lasted 20 minutes before I turned it off. The book is all about Danny trying to be more positive and seeing where "yes" would take him. The movie lost all the positivity and was more like "how can Jim Carrey get into trouble by saying yes?" I turned it off after he had "relations" with his elderly neighbor because he can't say no. Ew!